"People put trust in the Disney name and pay top dollar to stay at the Disneyland Hotel," said Virag, who specializes in bedbug litigation. "In this case, Ms. Eldridge's trust was betrayed." 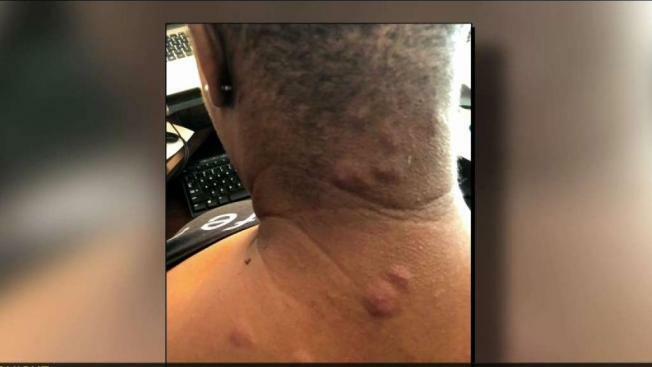 A woman who stayed at the Disneyland Hotel in Anaheim alleges she was "butchered" by bedbugs and suffered emotional damage as a result, according to a lawsuit obtained Thursday. Ivy Eldridge, a visitor to the hotel for two nights in April, contends she was bitten throughout her body, endured severe pain and sustained physical, emotional and financial injuries, according to the complaint filed this week in Los Angeles County Superior Court. A Disneyland representative did not immediately respond to a request for comment. "She was absolutely butchered," said Brian Virag, the Inland Empire woman's attorney. The suit names the Disneyland Hotel, Walt Disney Co. and Walt Disney Parks and Resorts, and seeks unspecified monetary and punitive damages for alleged physical and mental suffering. The attorney said Eldridge was bitten on the face, ears, neck, arms and back. "Bed bugs don't discriminate," Virag said. "They are found in hotels throughout the country and worldwide. Bed bug infestation in hotels have reached an epidemic proportion and is perhaps the most serious issue facing the hotel industry, because of the harm it can do to a hotel's reputation and brand." Virag is also suing the Embassy Suites Palm Desert on behalf of Victoria's Secret model Sabrina Jales St. Pierre, who contends she was bitten by bedbugs at the hotel and was out of work for two months as a result.